The R’s have never won at this stadium and their 34th attempt proved fruitless against an on-song Forest team. Despite making a good start in this fixture, Ian Holloway’s men fell behind on 13 minutes when Tyler Walker converted from close range. After missing numerous chances to increase their lead, Mark Warburton’s side did so just before half-time through Kieran Dowell. After the break, with a feeling the next goal would be crucial, it was Forest who netted again on 52 minutes, with Barrie McKay smashing home from close range. 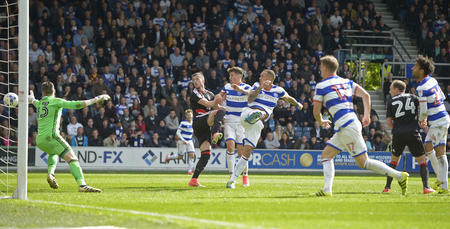 With six minutes remaining, Walker made it four with his second of the game on an afternoon when QPR can have few complaints about the result. Holloway made one change from the side that overcame table-topping Sheffield United on Tuesday night, with Joel Lynch returning from his one-game suspension to replace Jordan Cousins. It meant Alex Smithies lined up between the sticks behind a back three of Lynch, Jack Robinson and Alex Baptiste. Jake Bidwell operated as a left wing-back with David Wheeler doing likewise on the right. The usual trio of Josh Scowen, Mass Luongo and Luke Freeman continued their partnership in the centre of the park behind a front two of Conor Washington and Idrissa Sylla. Buoyed by their back-to-back wins over Wolves and the Blades, Holloway’s men went into this game in confident fashion while Forest were keen to get back on track after a disappointing 3-1 loss at Reading in midweek. The R’s bared their teeth early, getting down the right through Scowen in the opening 30 seconds but his low centre was put behind for a corner. From the resultant set piece, the ball fell for Bidwell on the edge of the box but his shot was blocked. 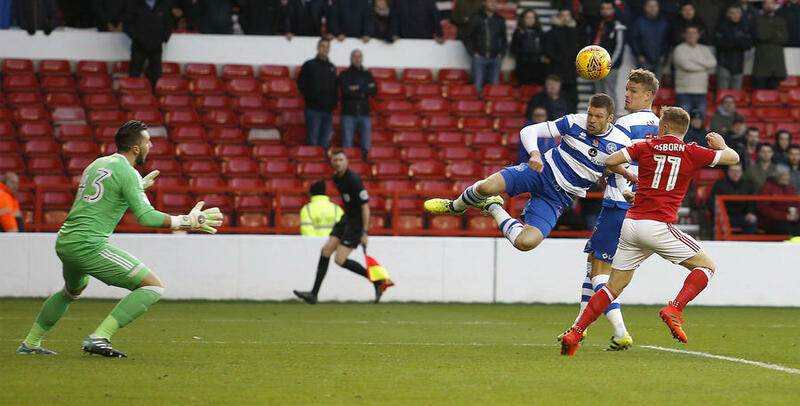 Wheeler saw his drive from 20 yards fly over moments later as QPR looked to build on their recent wins with a fast start at the City Ground. The visitors enjoyed the lion’s share of possession in the opening ten minutes but in the 13th minute it was the hosts who took the lead with their first chance of the afternoon. Kieran Dowell won possession high up the field and raced clear. With Bidwell blocking his path to goal, the Forest man squared for Walker who coolly dispatched his shot beyond Smithies from 16 yards. It was harsh on Rangers but the goal lifted the hosts and they played some lovely football in the following exchanges, and nearly doubled their lead in the 20th minute when Walker found space again on the right but this time he could only pull his shot wide of the far post. And in the 29th minute Rangers were grateful to Lynch for a brilliant goal-line clearance after Walker looked set to put the hosts 2-0 up after getting to the byline. 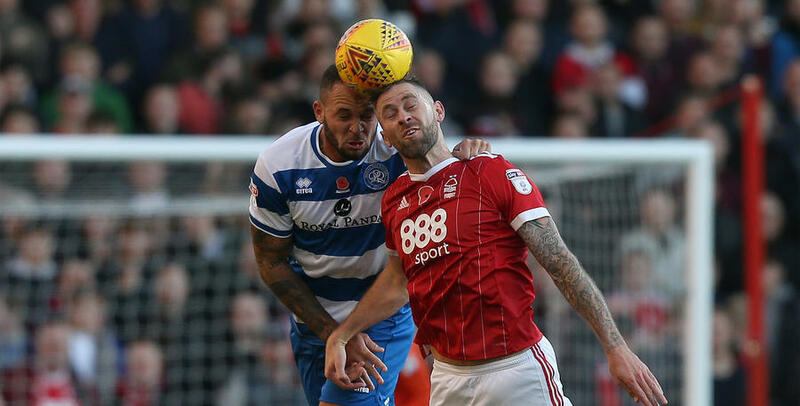 Forest’s creativity was certainly causing QPR problems and Robinson was next to put his body on the line as he blocked Ben Osborn’s shot from 12 yards. Scowen saw a shot from distance comfortably gathered by Jordan Smith in the Forest goal but it was at the other end of the pitch where the majority of the action was occurring, and in the 44th minute the hosts did finally double their lead when the impressive Dowell broke clear of the R’s backline before rounding Smithies and putting the ball in the back of the net from a tight angle. Darryl Murphy saw his header go inches wide on the stroke of the half-time whistle as Forest continued to dominate until the interval. Holloway made a double substitution at the break, introducing Matt Smith and Jamie Mackie at the expense of Sylla and Wheeler. The R’s switched to a 4-2-3-1 formation, with Luongo and Scowen holding behind a trio of Washington, Freeman and Mackie, with Smith leading the line. It wasn’t long before the change in approach produced the visitors first opportunity of the second half. On 48 minutes Freeman played Washington down the left and the Northern Ireland international produced a brilliant cross to the far post but Mackie saw his header drift just wide. But on 52 minutes it was 3-0 to Forest, with McKay volleying home at the far post after the hosts had once again attacked in numbers. And on 54 minutes Smithies had to be at his athletic best to stop McKay making it four, diving brilliantly to his right to deny him. Rangers had strong protests for a penalty waved away by referee Tim Robinson when Smith seemed to have his shirt heavily pulled in the box as he attempted to get on the end of Freeman’s centre on 56 minutes. With just over 15 minutes remaining Holloway brought on Yeni Ngbakoto for Freeman but it was again Forest who looked the more likely to score, with Murphy pulling his shot inches wide after great work down the left by McKay. On 84 minutes, Forest netted their fourth of the afternoon with a brilliantly worked goal which saw McKay pick Walker out at the far post and he thundered the ball into the roof of Smithies’ net. 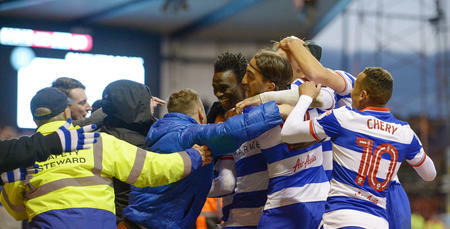 Forest closed the game out on what was a rare off-day for Holloway’s blue and white hoops. 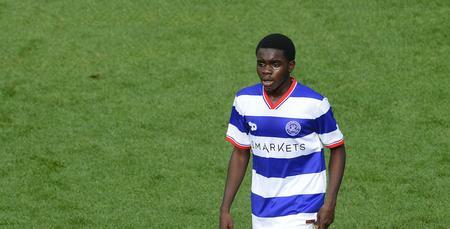 WATCH highlights from QPR's 4-0 defeat against Nottingham Forest.